I love Thai Mangoes and the supply here in Singapore is abundant, so its cheaper too. I have eaten enough or shall I say I enjoyed it already as a fruit. Last time I made a cake so I thought why not I make muffins with cream cheese and white chocolate. 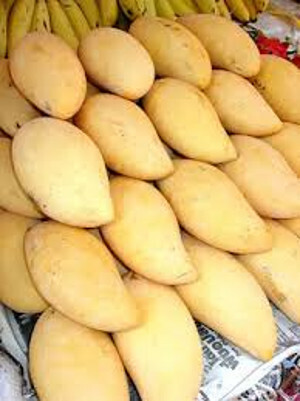 Its not bad after all, mangoes are versatile too. The muffins turned out to be that damn delicious and by morning, they were all gone. Whisk together flour,baking soda and salt. Set aside. Add the egg, yogurt, milk, and vanilla. Continue whisking until well combined. Add the flour mixture and mashed ripe Thai Mango,whisk until just combined. Add 1/2 cup mini chocolate chips.Whisk until just combined. Garnish with white mini chocolate chips on top. I will make these munchkins again and again. The combination of cream cheese with white chocolates and mangoes is so good and out of ordinary. Delicious! Thank you for sharing at Fiesta Friday! I love anything with mangoes. 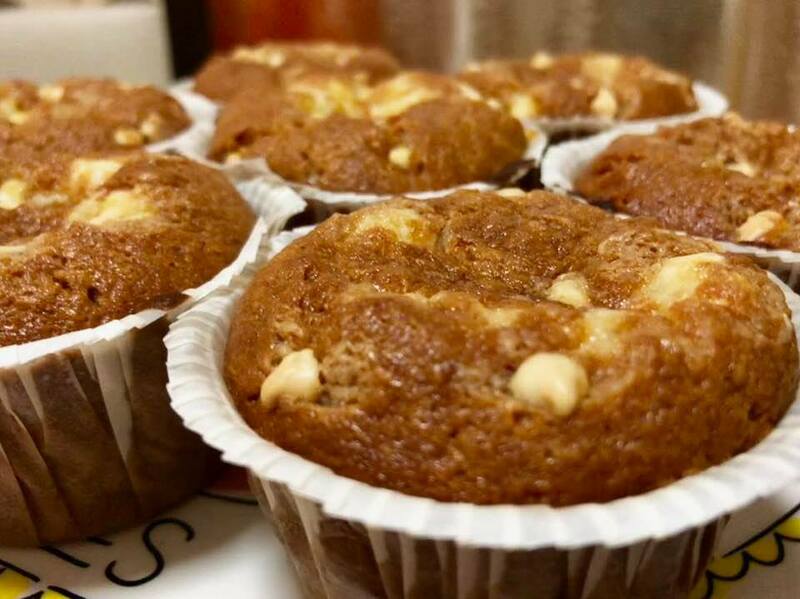 These muffins look so good - perfect with a cup of tea or coffee. :D Thanks for sharing at Fiesta Friday Party! These look delicious, as always! I'm putting them on my "must try" list. ;) Thanks so much for sharing!